Southeast Asian fashion marketplace Zilingo Pte. Ltd has raised $54 million (Rs 351 crore) in a Series C round led by Belgium-based investment company Sofina, besides existing investors, German investment firm Burda Principal Investments, and Sequoia Capital India. Besides Amadeus Capital, which came in as a new investor, existing investors, SIG, Venturra and Beenext, also participated in the round. US-based venture capital firm Draper Associates founder Tim Draper, and Manik Arora, the founder of family office of IDG Ventures India have also pumped in money. With this transaction, Zelingo has so far raised $82 million. According to a company statement, the fresh funds will be used to grow further and expand internationally. The Thailand-headquartered firm was founded by Ankiti Bose, the CEO, and Dhruv Kapoor, the CTO, in 2015. Bose is a former McKinsey consultant from Mumbai, who also had a stint in Sequoia Capital’s Bengaluru office. Kapoor, an IIT Guwahati alumnus, had previously worked with Yahoo and Kiwi, an American gaming startup. “We think the market is showing us the right signs in terms of adoption and retention, so it is good to double down. 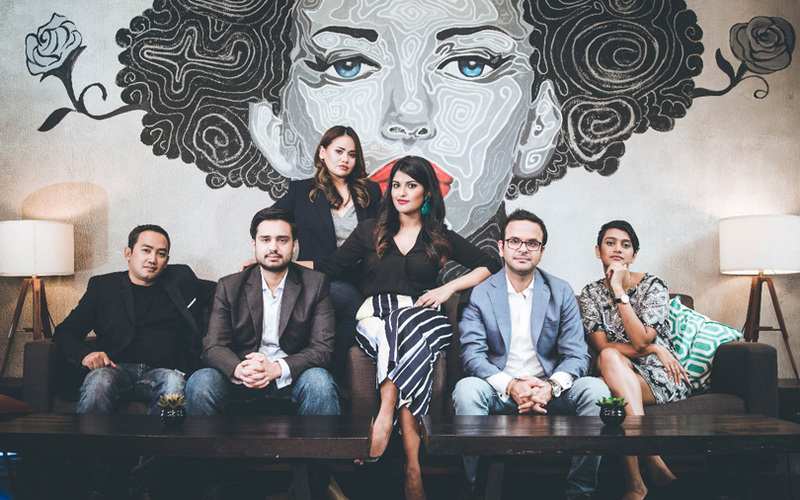 We are grateful to all the investors for continuously showing great faith in our team and our vision for fashion commerce in this region,” said Bose. Last September, Sequoia Capital and Burda had led a $17-million Series B round in Zilingo. The Zilingo app allows merchants to upload pictures of their products and provides them with free shipping, packaging, doorstep pickup, secure payment options, a mobile analytics dashboard and consultation on pricing strategy. Buyers can also chat with sellers, exchange photos, create wish lists, take notes and track products. Today, Zilingo sells its products across its home countries of Thailand, Indonesia and Singapore and ships internationally to four more nations. It also has supply bases in across China, Bangladesh, Vietnam and Cambodia. “Zilingo is creating a complete ecosystem for merchants to grow their online fashion business in Southeast Asia and beyond. We believe there is an untapped opportunity across the entire Asian fashion value chain and continue to be very impressed with the company’s trajectory,” said Albert Shyy, principal at Burda. According to the company, over 10,000 independent merchants and private labels use the platform across Asia. It has over 25 API integrations for logistics and payments that allow sellers to ship from one location to multiple countries. Zilingo Seller Centre allows merchants to manage an online store in a language and currency of their choice, sell across different countries and receive payments internationally for orders in their local currency. The company also runs a business-to-business (B2B) vertical, Zilingo’s AsiaMall, which allows merchants around the world to buy from wholesale Asian suppliers. Zilingo claims to have grown 10 times in revenues over the past one year.